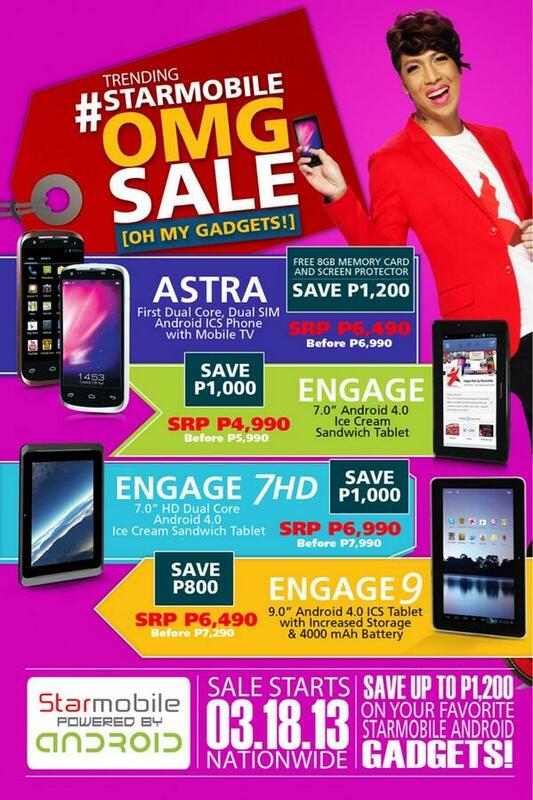 A chance for you to get an Android phone or Android tablet and save of up to P1200 with Starmobile (OMG) Sale happening nationwide. Starmobile offers their best deal on Starmobile Astra, Engage, Starmobile Engage 7HD and Starmobile Engage 9 with up to P1200 on its actual price. 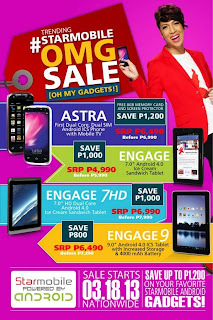 For details and prices of those gadgets you may continue reading below. First Dual Core, Androi Ice Cream sandwich with Dual Sim and Mobile TV features. Promo starts March 18, 2013 Nationwide. For details and updates kindly visit Starmobile and follow them on Twitter @happymanPH.